If you would like a painting session for your private event, one can be developed around any theme you can imagine. All materials are supplied for painting classes – your canvas, easel, brushes and paint. All you supply is the creativity. The rental fee is waived for private painting sessions. 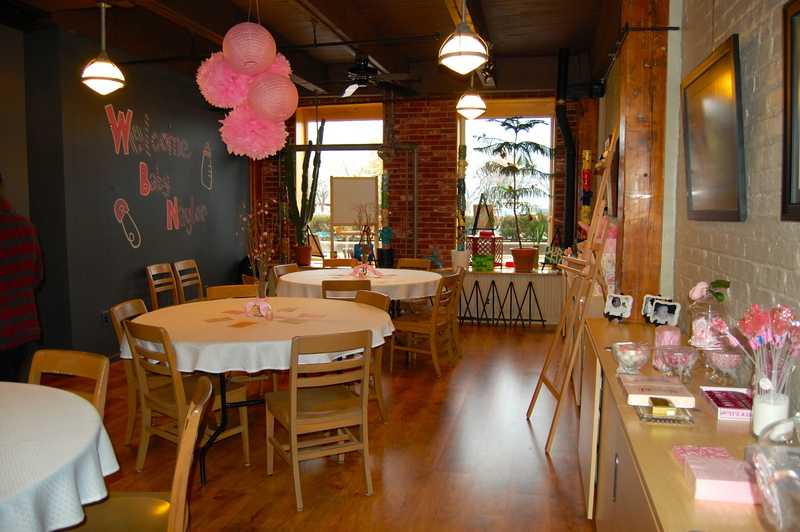 Sessions are $35 per person, with a 10-painter minimum to remain a private event. Non-painting rentals are for adult events only. The Hive can seat 22-24 people. We have 3 round tables that can seat 6-8, along with a window seat the length of the front wall, and standing room along our spacious counters. We supply all materials for children’s and teen’s birthday painting pARTies. These events are 2 hours in length (1 1/2 hrs. for children 5 and under), with additional 15 minutes allowed before for set-up/decorating and 15 minutes after for clean-up. You supply the cake, any food and beverages, as well as, any special decorations. Call to check date availability. To promote our mission of environmental stewardship we have washable reusable cutlery available at no charge (that we wash) if you would like to use it. We have a recycling receptacle for any aluminum, glass, or plastic bottles that get brought into The Hive. Cancellation policy – We require a 2-week written notice for party cancellation. Cancellations less than 2 weeks prior to the event will result in the deposit being forfeited, unless another event can be booked in its place.